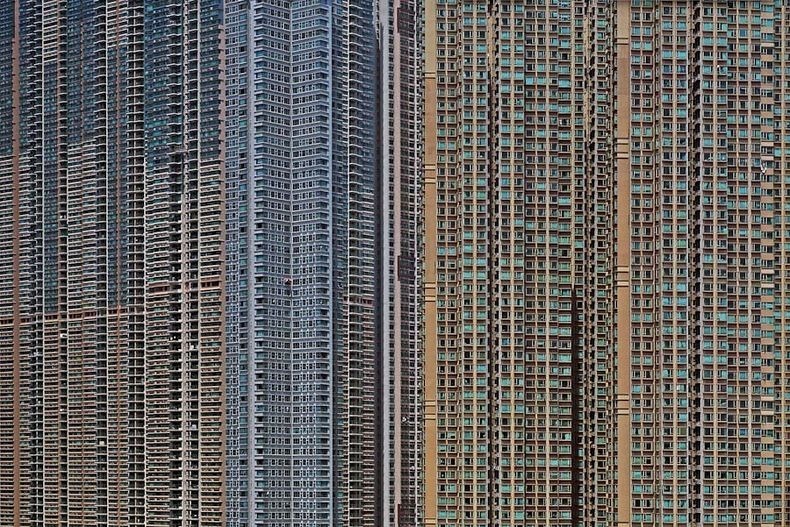 Because of historical, political, and geographical reasons, only 23.7% of Hong Kong’s land is developed out of which only 6.8% land is used for housing. 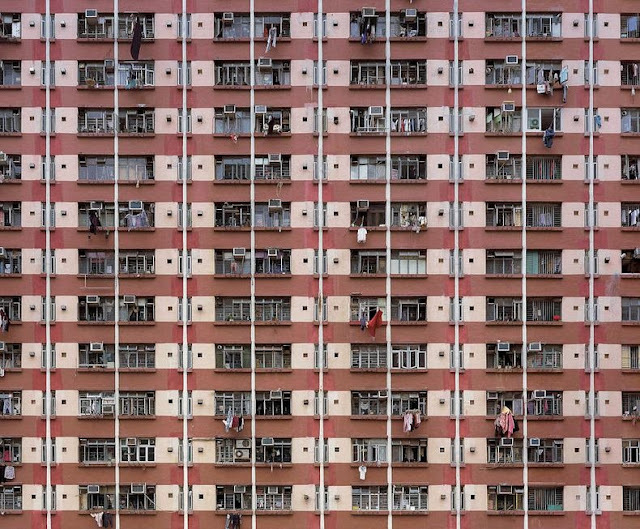 No wonder Hong Kong is one of the most densely populated places on the planet, with more than 6,400 people packed into every square kilometre. 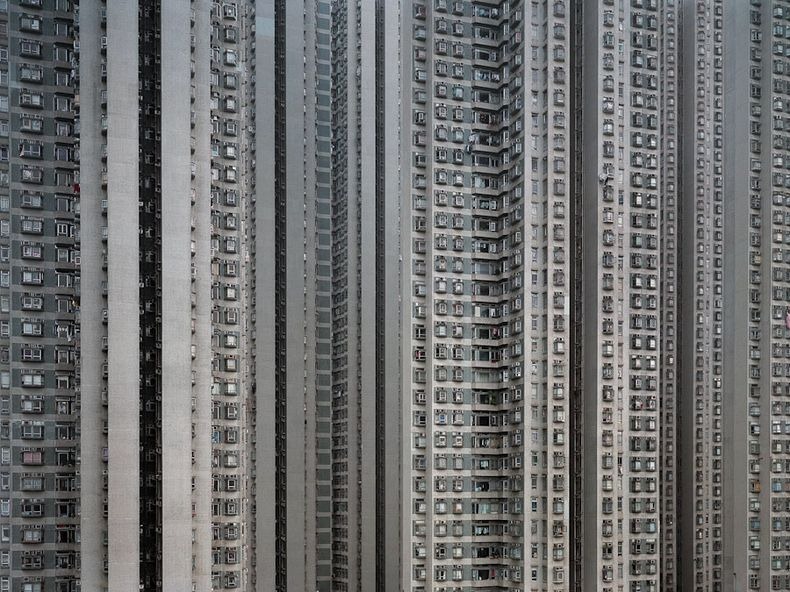 Many of the city’s 7 million residents live in high rise apartments that towers Hong Kong’s brilliant skyline. 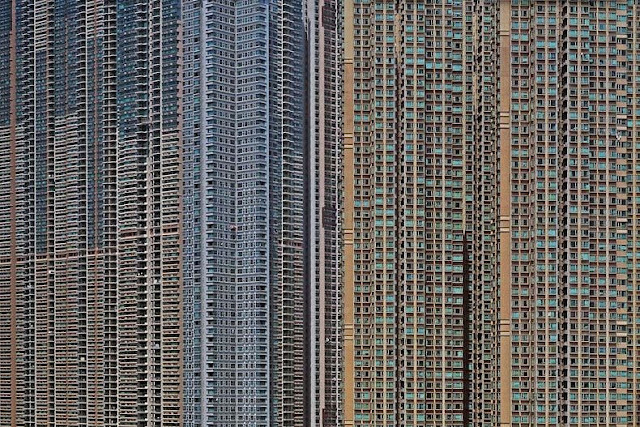 There are a total of 6588 high-rise buildings in all of Hong Kong, far surpassing New York’s 5818 buildings, making Hong Kong a true skyscraper city. 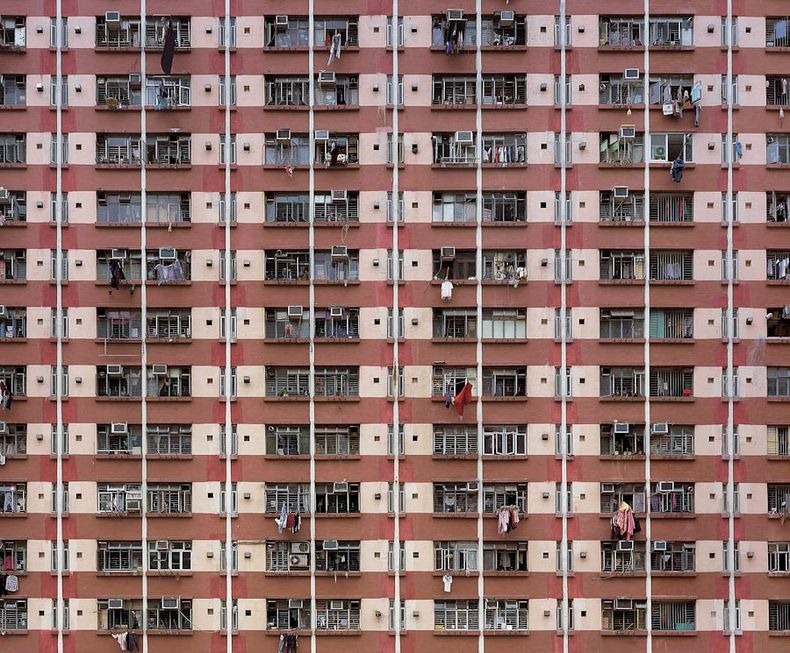 Living conditions, however, are a lot to be desired for with people living like dogs in cages. 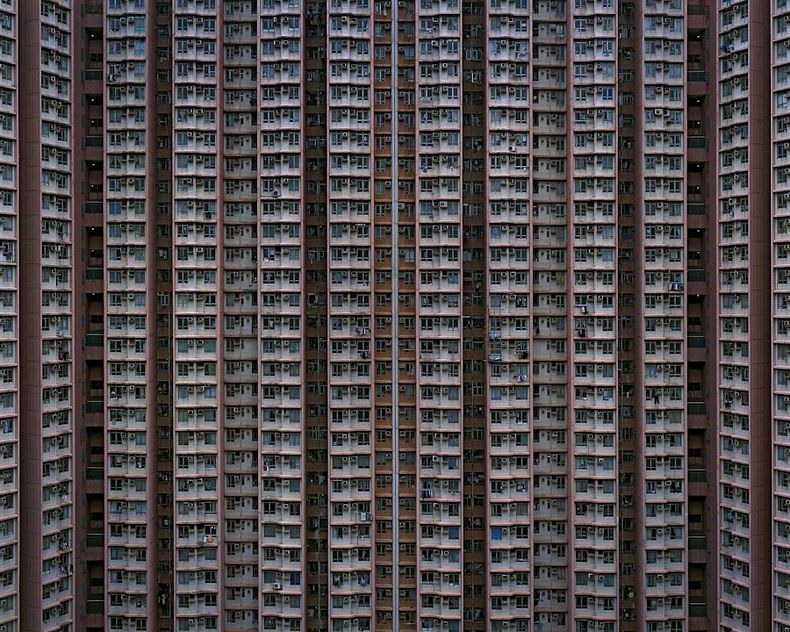 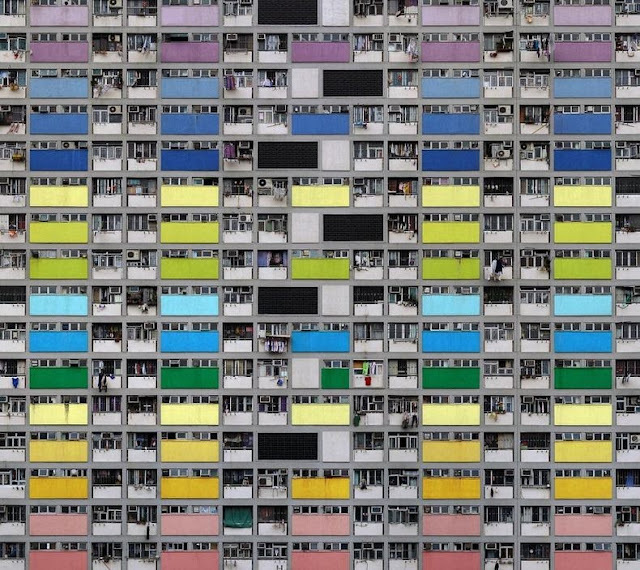 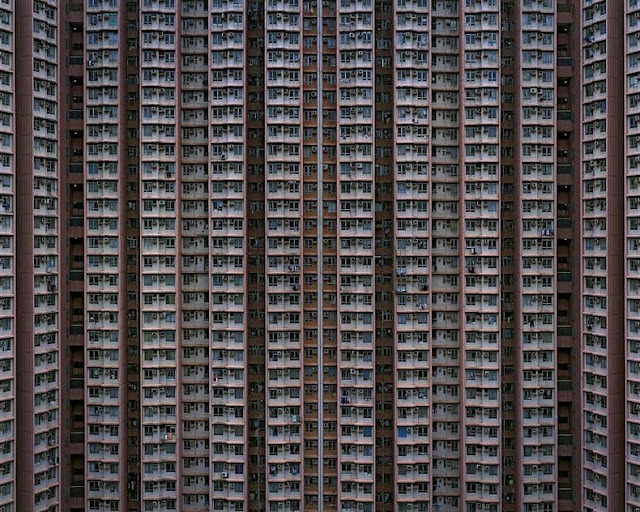 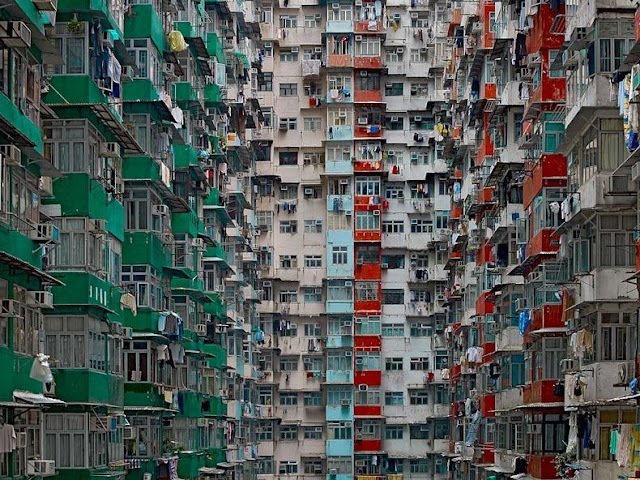 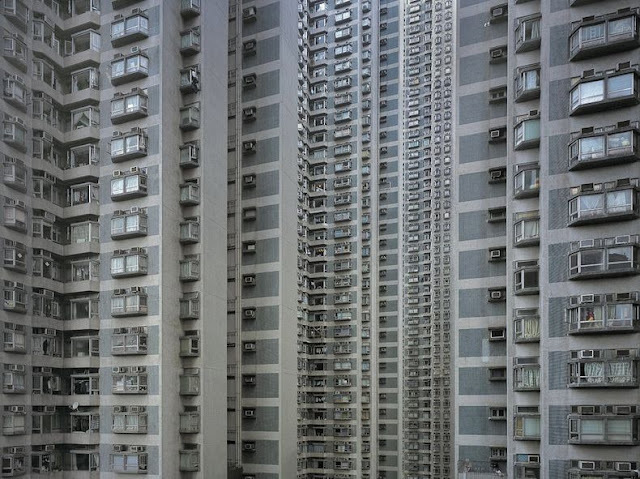 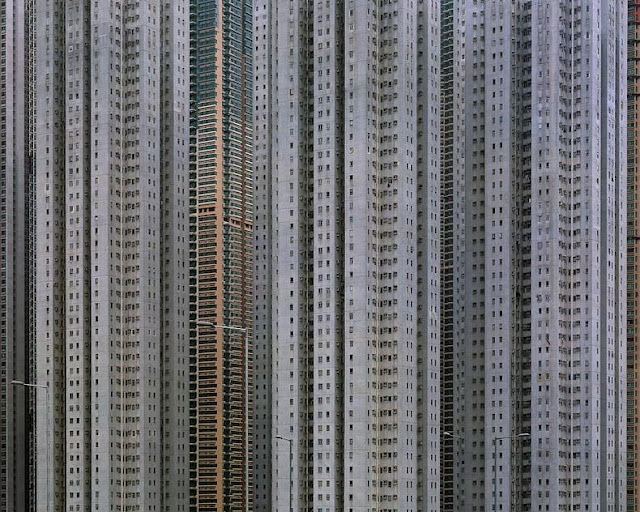 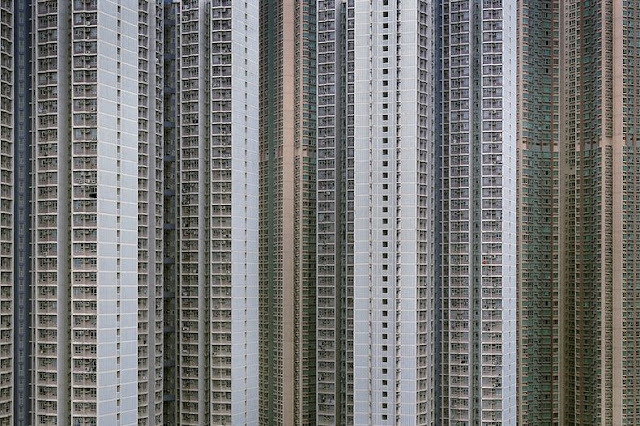 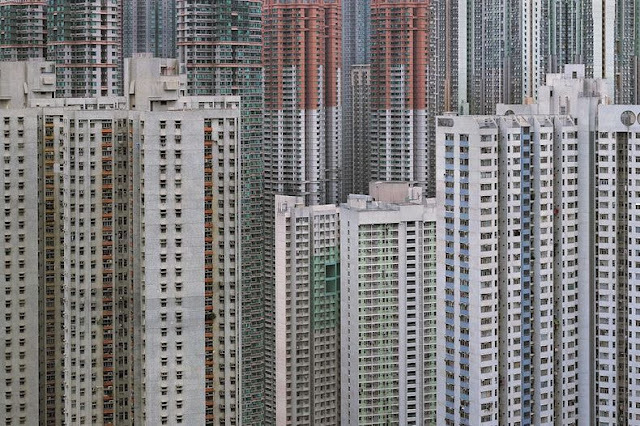 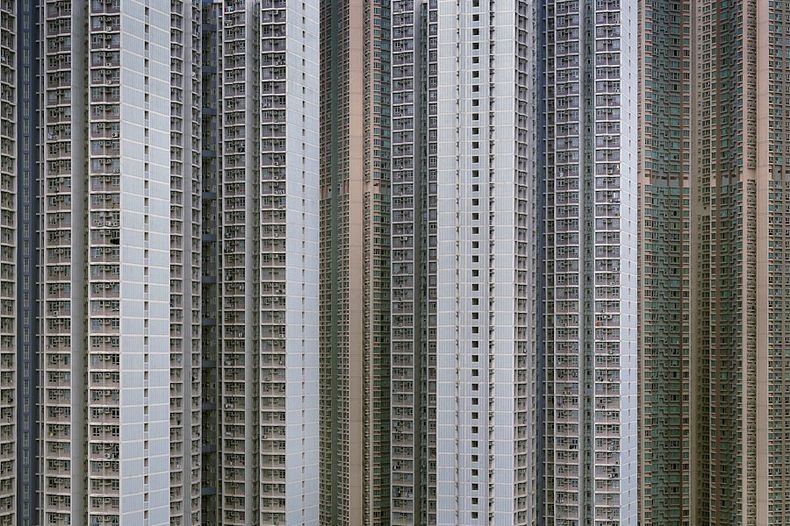 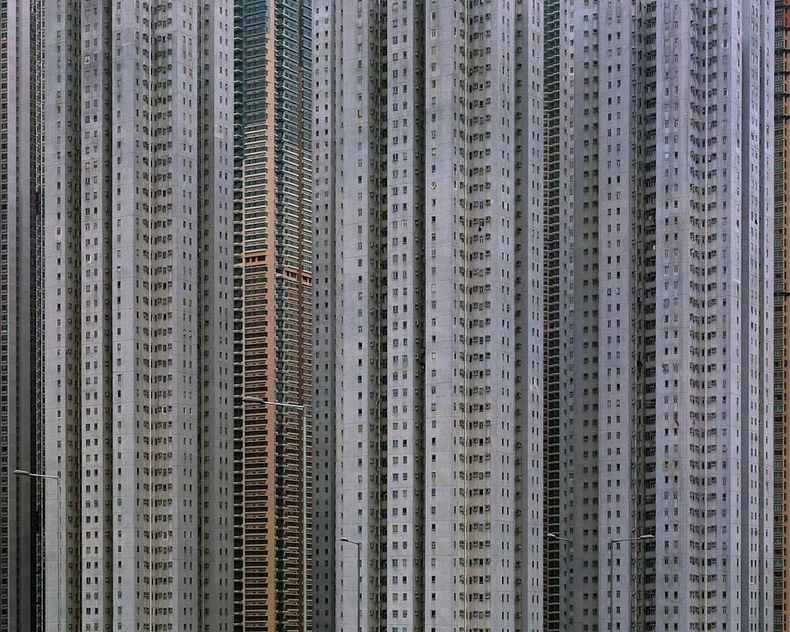 In order to capture this maddeningly dense and repetitive shoe-box type claustrophobic residential structure, German photographer Michael Wolf has produced a beautiful series called "Architecture of Density."